Having Arthritis can cause a lot of pain for Elderly, Senior, and Terminally Ill individuals that have it. 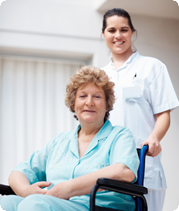 Whether you have Osteoarthritis, Rheumatoid Arthritis, or Psoriatic Arthritis, the caregivers, nurse aides, and companions at A-1 Home Care are experienced in providing daily living assistance to Arthritic individuals and can work with you physical therapist or doctor to establish a daily routine that can help minimize pain and swelling. Our caregivers can provide your loved one with 24 hour live-in assistance or hourly part-time care and assist with daily medication reminders, transportation, healthy meal preparation, exercise, monitoring heat pad or ice pack use, personal hygiene and grooming, complying with additional doctor recommendations, and carrying out everyday household duties. 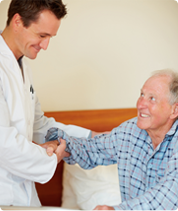 A-1 Home Care is a non-medical caregiver placement agency that is dedicated to providing quality in-home care services in the communities of Costa Mesa, Newport Beach, Corona Del Mar, Westminster, Garden Grove, Huntington Beach, Seal Beach, Los Alamitos, and others in Orange County and Los Angeles County. We have been in business since 1991 with an A+ Rating from the Better Business Bureau, Shield Accreditation, and are frequent recipients of patient referrals from local hospitals such as Hoag Memorial Hospital, Kaiser Permanente, and College Hospital. 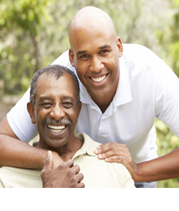 For more information or to hire a caregiver today, CALL us at 949-650-3800.